Ayeza Khan is a famous Pakistani actress and model while her pretty looks is the main reason behind her massive fan following. Many famous fashion designers hire her for photo shoot and she is a top choice of several fashion designers. 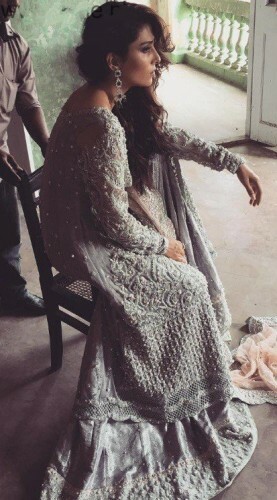 Currently, Ayeza Khan performed a photo shoot for brand of Sana Abbas. A beautiful and flashy full length bridal gown is worn by the actress. Her photography is done by Ayaz Anis, styling by Raana Khan and jewelry by Nadia Chhotain. 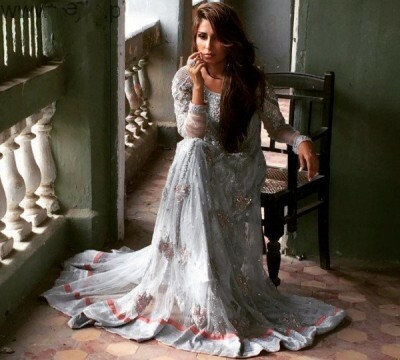 In this bridal shoot, Aiza is looking really stunning. No doubt, she is looking like a fairy princess.